Are you shopping for a dependable midsize sedan that is able to perform at a high level throughout whatever challenges those Cerritos, Buena Park, and Long Beach area roads throw its way? 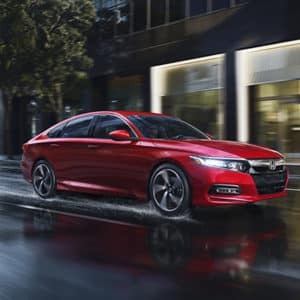 While the 2019 Honda Accord and the 2019 Nissan Altima are both quite capable in this regard, the team here at Norm Reeves Honda Superstore Cerritos has come up with the following comparison to see which one comes out on top. Both cars each have two engine possibilities. Under the hood of the Accord, you’ll find the standard offering of a four-cylinder engine that’s equipped with a Turbocharger and produces 192 horsepower along with 192 lb-ft of torque. The other available engine in the Accord delivers an even more robust performance by supplying you with 252 horsepower and 273 lb-ft of torque. The two engines in the Nissan Altima don’t quite stack up to the Accord. The standard Altima engine can only generate as much as 188 horsepower and 180 lb-ft of torque. The available engine in the Altima also falls short of the Accord—its horsepower only gets up to 248 along with its 273 lb-ft of torque. Whether you’re on your way to a concert with a group of friends or it’s your turn to carpool to work, it’s important that your car’s interior has plenty of wiggle room for everyone onboard. The 2019 Honda Accord has you covered by providing you with lots of space. For instance, it contains 39.5 inches of headroom in the front seats and 37.3 inches in the back. The folks in the back seats have lots of opportunity to sit back and enjoy the ride with 40.4 inches of legroom. The hip room is also accommodating in the Accord as it measures at 55.3 inches in the front and 55 inches in the rear. It’s safe to say that the Nissan Altima falls short when being compared to the Accord in this category as well. Its headroom in the front only comes to 39.2 inches, and the rear headroom is also less at 36.9 inches. The backseat legroom is 35.2 inches, the front hip room is 54.7 inches, and the rear hip room is 54.5 inches. As these numbers show, the Honda Accord certainly has the upper hand when it comes to interior comfort. If having a quality sound system to enjoy while you’re on the road is a priority, both cars are available with some pretty impressive equipment. 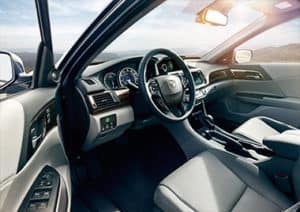 In the case of the Accord, there’s the 450-Watt Premium Audio System that makes use of 10 speakers and a subwoofer for optimum listening pleasure. Over in the Altima, there’s the Bose® Premium Audio System that has nine speakers. The other aspects of convenience in the 2019 Honda Accord manage to boost its entire experience. Some examples of this include Mobile Hotspot Capability and the Wireless Phone Charger. With these available features, the Honda Accord keeps the cabin connected and fully charged. Neither of these are available in the Nissan Altima. With its achievements in the categories of performance, interior comfort, and convenience, the Accord successfully outshines the Altima. 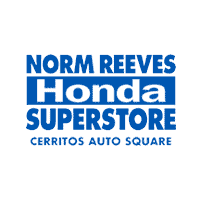 If you’d like to personally experience these attributes as well as find out what else this impressive sedan has in store for your Cerritos, Buena Park, and Long Beach area commutes, contact us at Norm Reeves Honda Superstore Cerritos to schedule a test drive.